Batteries are designed in various sizes as well as capacities such as volts (2, 6, 12 and 24) and Amperes (7amps – 2000amps). They store the electrical power in form of a chemical reaction. Without storage you would only have power when the sun is shining or the generator is running. Please note that our conversations will be based on 12/24 & 48 volts – 100amps to 200amps capacity. 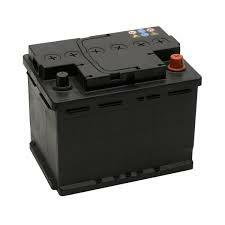 These types of industrial batteries are also considered as Deep Cycle batteries. However, Lead Acid industrial batteries are with much thicker internal plates that can withstand many deep discharge cycles. They are all designed for alternative energy systems. – Flooded: These are Lead acid batteries that have caps to add water. Many manufacturers make use of these types for Solar Energy. All flooded batteries release gas when charged and should not be used indoors. If installed in an enclosure, a venting system should be used to vent out the gases which can be explosive. – AGM: Absorbed Glass Mat batteries are regarded as the best available Solar Power use by some. A woven glass mat is used between the plates to hold the electrolyte. They are leak/spill proof, they do not out gas when charging, and have superior performance. They have all the advantages of the sealed gel types and are of higher quality, they maintain voltage better, self-discharge slower, and they last longer. Most batteries are supposed to have at least 4 years life span, however, due to POOR INSTALLATIONS and OPERATIONAL USAGE which tend to reduce the battery’s life span to the range of 6 months – 1 year. Poor Installations: Batteries which are installed without adequate ventilations, wrong cabling sizes and connections are regarded as poor installations. Note: batteries are supposed to be installed and used within 25 – 30 degrees for effective performance and longevity. Operational Usage: Continuous charging without depleting the battery’s power will either damage it or reduce its life span by 50%. Kindly discharge your battery whenever it is fully charged.